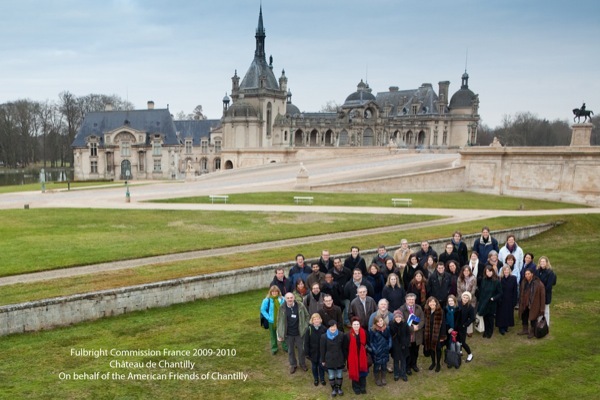 One of the goals of AFC is to provide tours and educational exchange opportunities for Americans with Domaine de Chantilly. The Domaine de Chantilly is owned by the Institut de France, a prestigious institution which groups together academies of fine arts, architecture, the sciences and the French language Académie Française. The Domaine de Chantilly has always been open to students and researchers from the world over who have come to study the masterpiece paintings, manuscripts, sculptures, furniture and the gardens of the Domaine. Through creating relationships with a hand full of well known American Institutions and Universities, AFC hopes to facilitate the possibilities for students to study, participate in internships and assist research projects at the Domaine. 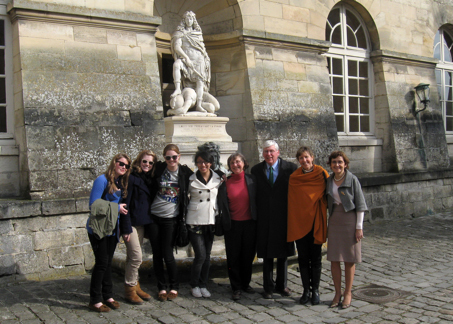 In in spring of 2014 a partnership was born between the Académie des Beaux-Arts and the American Friends of Chantilly. The Number 61 of the Lettre de l'Académie des Beaux-Arts which was completely devoted to the Domaine de Chantilly, was translated into English by American interns assisted by AFC member and expert translator Mr. Maurice Elton. 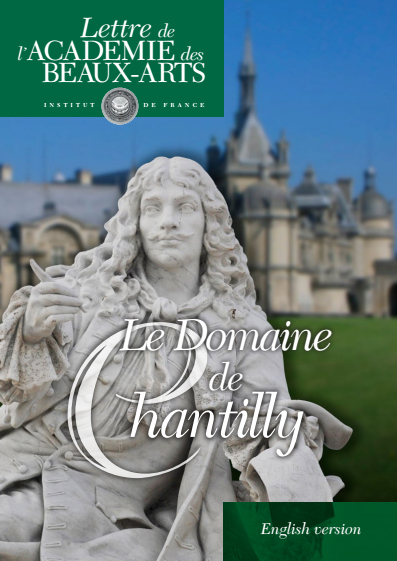 We hope these beautiful articles written by members of the académies of the Institute de France - owner of the Domaine de Chantilly will be both informative and enjoyable. To read the Lettre in English click HERE. To read the Lettre in French click HERE. 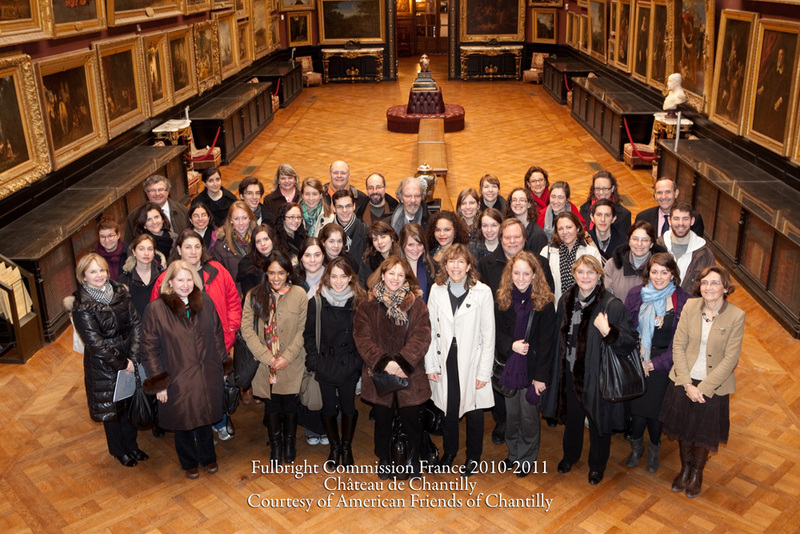 In 2010 the American Friends of Chantilly developed a partnership with the Fulbright Commission in France to increase the awareness among Americans studying, researching and teaching in France of the amazing collection in the Musee Condé of the Domaine de Chantilly. 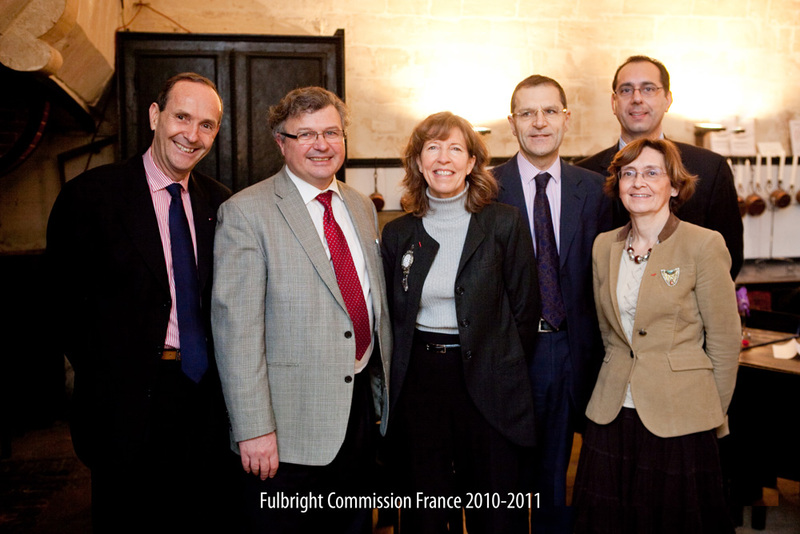 These photos were taken on Jan 26th, 2011 when for the second consecutive year, 43 Fulbright Commission grantees spent the day in Chantilly: In the picture to the right are General Jerome Millet, Administrator of Chantilly - Institut de France, Fulbright Commission Director Arnaud Roujou de Boubée, Candice Nancel, President of AFC, M. Bruno Ory-Lavolléé, General Director of the Foundation, Nicole Garnier, Conservator Général du Patrimoine in charge of the Condé Musée and Frederic Nancel, Manager of Operations and Special Events-Fondation de Chantilly. The Fulbright Commission held their mid-year meeting in Chantilly in January and 50 Fulbright Grantees of 2009-2010 spent the day at the Chateau. Jean-Francois Jarrige, member of the Board of Directors of the Institut de France joined the group for lunch with Fulbright Commission Director, Arnaud Roujou de Boubée, Lindsay Turlan and Candice Nancel. After lunch the group discovered behind the scenes treasures presented by Curators Nicole Garnier and Olivier Bosc. Stratford Hall in Virginia and the American Friends of Chantilly in France have created a Research Fellowship in French-American Studies. The Birth of Chantilly, Virginia, U.S.A. Richard Henry Lee a gentleman from a distinguished, pioneering family from Virginia's Northern Neck fell in love with the Domaine de Chantilly, France while studying in Europe, and exported its name to the other side of the Atlantic. Richard Henry Lee was no ordinary American citizen, he was born in 1732, and belonged to an influential Virginian planterâ's family established in the county of Westmoreland one hundred years earlier. To read more about the Stratford Hall visit their website: http://www.stratfordhall.org. "Learning first hand about the practical challenges and intellectual complexities of maintaining the Domaine reminded me that the property is indeed a living breathing entity, not just a historical repository. There are so many wonderful, small, and unexpectedly fine paintings hidden in the collection. Many that illuminate quite beautifully the personalities of those that inhabited Chantilly over time." "I had a great experience as an intern because my internship was very specific, in architecture, and I had a specific mentor. I think the Domaine is interesting for Americans because it is not the largest most commercialized château in France and it has so much more to offer than just a château." "I enjoyed giving tours of the large and small apartments in the château. It was very rewarding to diligently study the history of the château, and then convey my knowledge to the visitors... 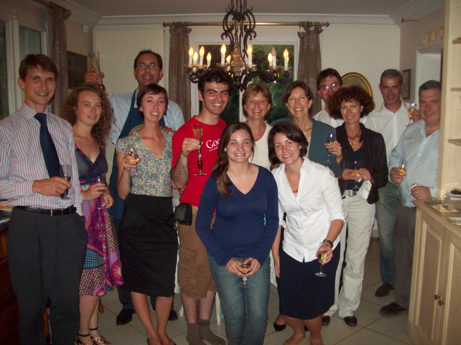 Communicating with both the French visitors and other tour guides improved my French speaking and listening skills." 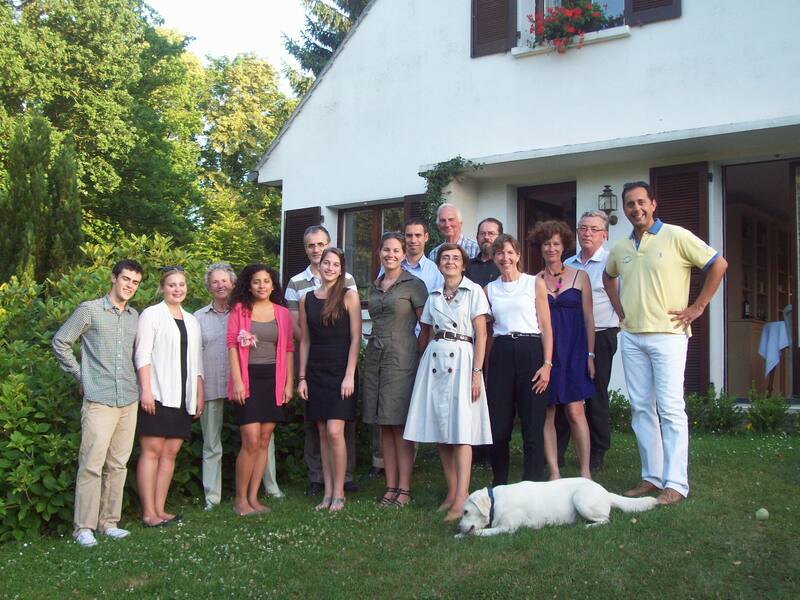 Picture left - Welcome Barbecue for the summer interns with host family members and Chateau staff. 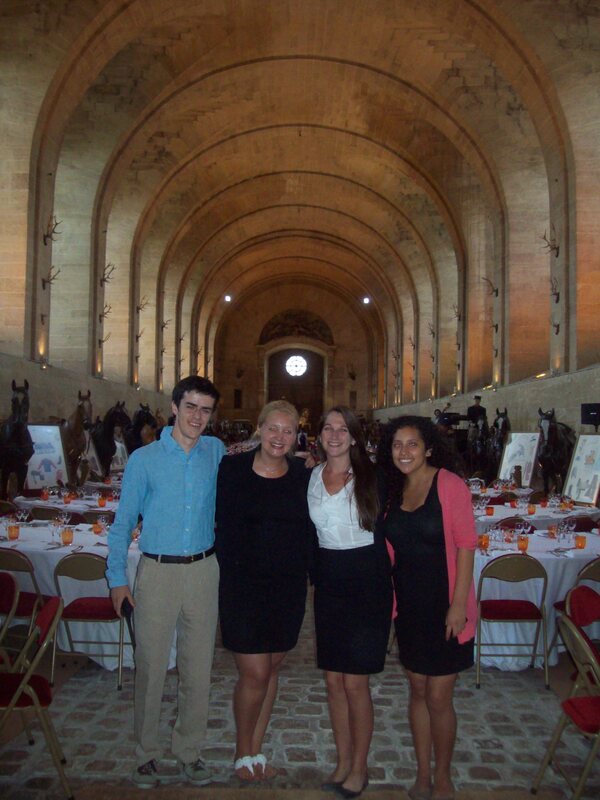 Picture right - Interns assisting the organization of a gala dinner in the Grand Stables - Maximilian Manzares, Donna Canada-Smith, Rachel Marx and Allison Soto Morales. Reception in the home of Frédéric and Candice Nancel to celebrate the 2009 Interns, their intern leaders and their host families: (left to right) Alexis de Kermel (Special Events Department Domaine de Chantilly) Diane Malgouzou (Intern at the Special Events Department), Frédéric Nancel, EugÃ¨ne Lpunskiy (intern at the Condé Museum), Alexandra David Lynn (Intern at the Architecture and Works Department), FranÃ§oise Cocuelle (Host Family), Grace Baumgartner (Intern at the Condé Museum), Candice Nancel (AFC President), Steven Loveniers (Architecure & Works Manager - Domaine de Chantilly), Maryse Malgouzou (Host Family), Dominique Cheval (Supervisor Condé Museum), Serge Darroze (Park and Gardens Manager - Domaine de Chantilly). Blair School visit (April 09) with Nicole Garnier, Head Curator of the Condé Museum and Candice Nancel (AFC President). 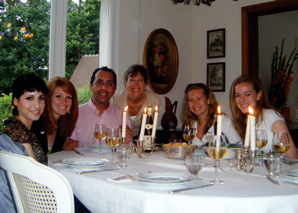 Dinner at the Home of Frédéric and Candice Nancel to thank the 2008 Interns (left to right) Anneliese Mondschein, Allison Conley, Frédéric and Candice Nancel, Elisa Loeser, Genevieve Cortinovis.